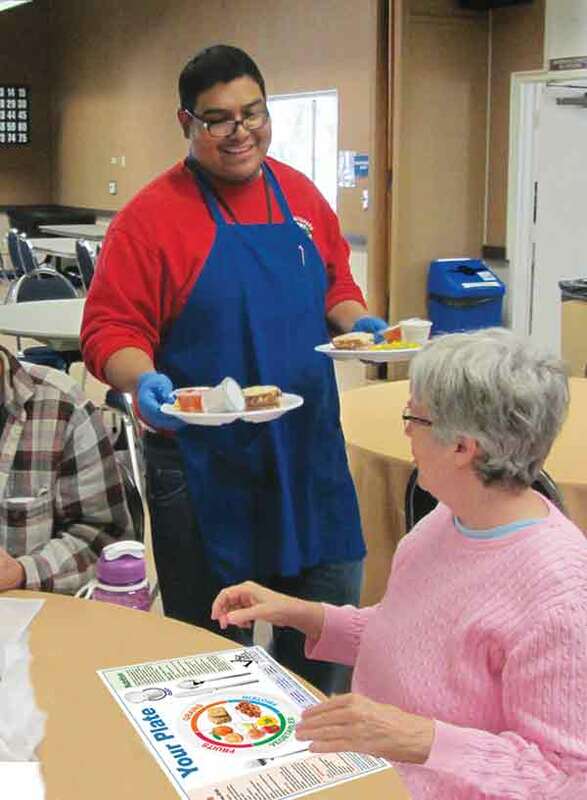 The Ventura County Area Agency on Aging (VCAAA) provides nutritious meals for older adults in Ventura County through the Senior Nutrition Program (SNP), which includes Congregate and Home-Delivered Meal (HDM) services. Our meal programs give seniors access to nutritious meals and contribute to maintaining their health, safety, dignity and quality of life. Last year, VCAAA provided a total of 219,552 SNP meals to 4,479 seniors. Nearly 65% (141,784) of these meals were delivered to 1,163 homebound seniors from 10 meal sites throughout the county, mostly using volunteer drivers. All SNP meals are approved by our Registered Dietitian to meet U.S. Dietary Guidelines for Americans and geared toward the Dietary Reference Intake (DRI) and Adequate Intake for vitamins and elements for older, frail adults. These meals provide a minimum of one-third of the DRI and accommodate diabetic and low-sodium diets. To find a local dining site or home-delivered meal program near you, see our list of countywide meal service locations.